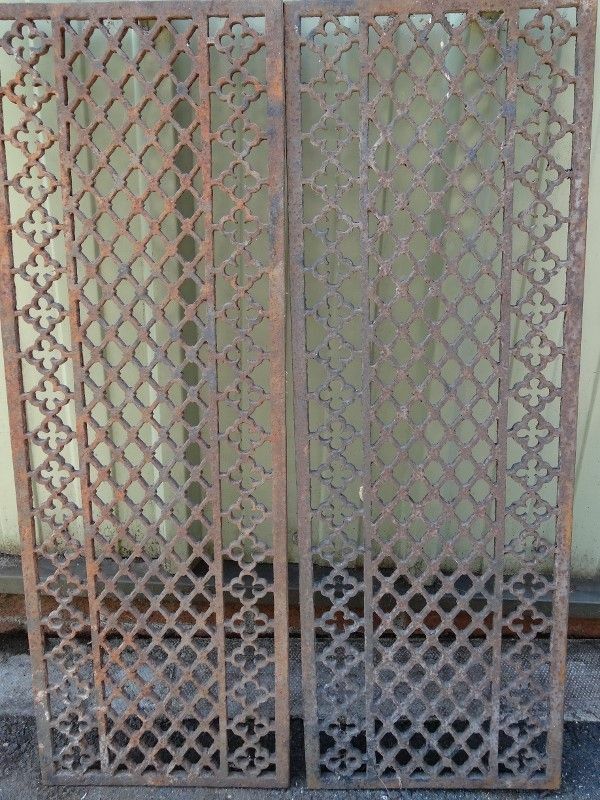 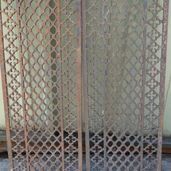 Pair of Ornamental Iron Pierced floor panels. 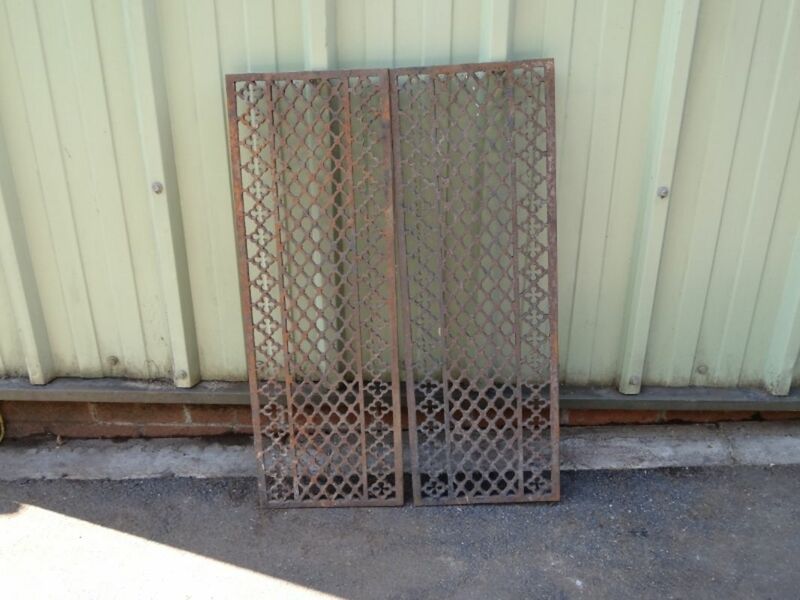 Each being 35” (89cm) tall, 12”(30 ½ cm) wide, ½” (13mm) thick. 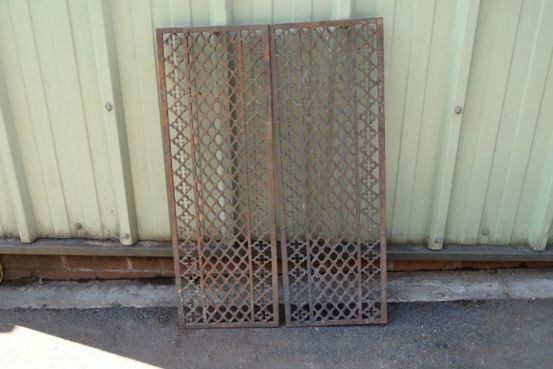 These could be inserted as panels in a table top.